There is a time and a place to publicly criticize professional rugby players – and choosing that wisely is a coach’s biggest challenge. 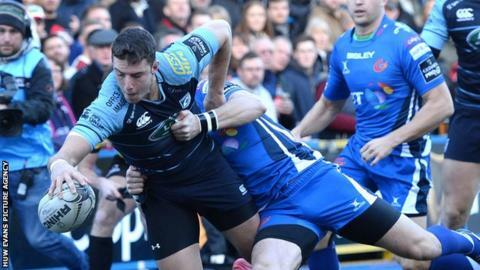 That’s the view of Cardiff Blues boss Danny Wilson, who blasted Steve Tandy for carpeting of his Ospreys charges following their lacklustre display in their loss to Munster. Tandy raised doubts on the effort and desire of his players in the wake of the 21-16 reverse at the Liberty Stadium, a rare loss not just in rugby but in professional team sport. After the match on being asked about the dressing down Wilson said: “I think it depends on the circumstances. For example, we didn’t hide away from the Edinburgh performance; we made it pretty obvious how we felt. “When the Blues have played poorly, you guys are aware of it, the public is aware of it, the players are aware of it and I’m aware of it. In the changing room we would be honest with ourselves and say the display wasn’t of a good enough standard. Wilson and his Blues squad are as anxious as much of the Ospreys and are in a terrible predicament points-wise having yet to register a win. 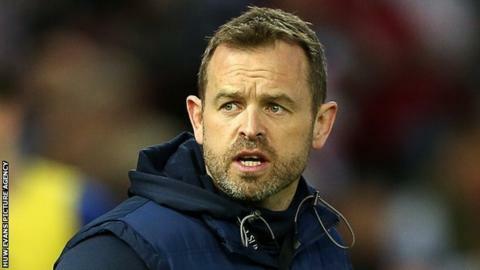 But the former Scarlets and Bristol coach, whose side lost by a point to high-flying Glasgow on Saturday, was in denial about the situation. “We knew the first five games of this season were a tough run of fixtures and that coincided with a number of injury issues,” said Wilson. “It’s pleasing that we’re starting to get some of those players back, a couple was back on the weekend and you saw the difference that it made.